Tuesday May 10th 6:30p.m. “Mothers Helping Mothers” Bring a baby shower gift of your choice to donate to Matrix of Dubois County. 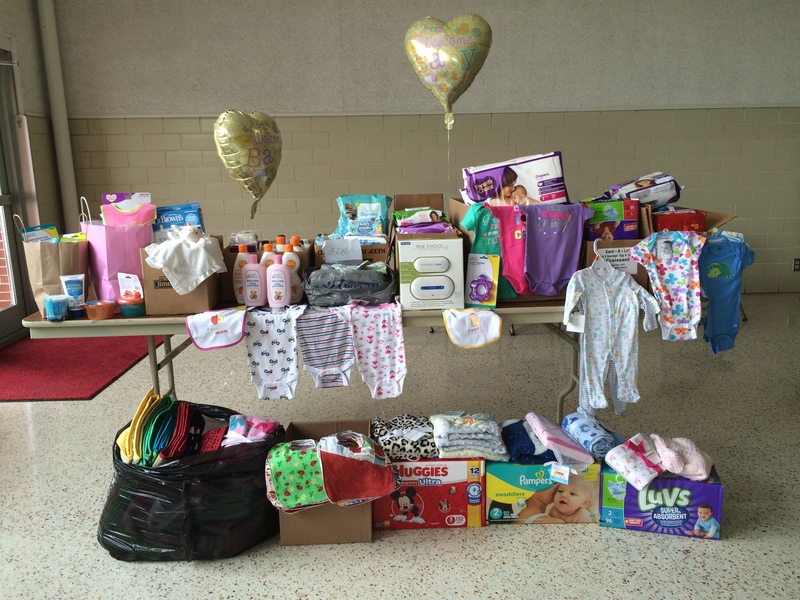 We had a great St. Anne’s meeting with many wonderful people donating all these nice baby items for Matrix of Dubois County. Thanks again to everyone who took the time to buy or make these items. They will be used and appreciated. Please stop by the church office and pick up one of St. Anne’s cookbooks. They make wonderful birthday and wedding shower gifts. Wedding Season is approaching what a better gift for family and friends than a wonderful cookbook from local people. The cost is $10.00 a book.